In the age of Panda and Penguin the need for high quality content, tailored to the needs of your target audience, is essential – not only as part of a comprehensive SEO strategy but to prevent the risk of being hit by a penalty. There has been much debate around whether content marketing is becoming a key part of SEO or whether it is simply another aspect of marketing that overlaps and indirectly brings SEO benefits. Either way the first stage of writing content for visitors, instead of for search engines, is to find out more about your customers. Website analytics can be utilised to gain an understanding of how visitors interact with your website. What keywords do they use to find your site? What websites do they come from? What anchor text encouraged them to click? How do they make their way through your site? What pages are of interest to them? Social media analytics can also be used to find relevant conversations online. They can either be brand-specific, if your brand is big enough, or industry-related. Find out what potential customers are talking about in order to gain a better understanding of what they might be searching for online. What questions are they asking? What are the bottlenecks preventing them from purchasing a product or service? Knowing the answers to these questions can offer insight into what visitors to your site will be looking for, what questions they have and how far along the buying process they are. In turn you will need to consider what your company and your website can offer them. Researching successful competitor products and understanding what they offer visitors, as well as conducting market research if budget allows, will offer further insight. An understanding of this can offer opportunities to create genuinely useful and relevant content. Keywords are still an essential component of writing content; it ensures the article is relevant and allows you to rank for those important terms. However it is important to remember to write for the reader and not for the search engine. Writing high quality, shareable content is more important than creating a keyword-stuffed, but essentially meaningless, article. Don’t worry about counting the number of keywords, focus on creating compelling content people will want to share – in fact, keyword overload can appear spammy, damaging the site in the eyes of both the reader and the search engines. 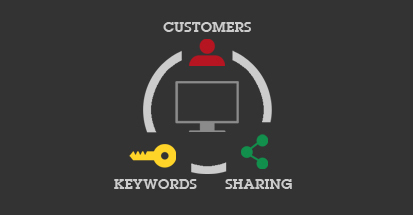 From website analytics you will be able to gauge which keywords visitors use to find your site. Use this insight, and AdWords Keyword Tool, to understand both the relevance and search volume of the keywords. Decide if you want to introduce new keywords, as well as strengthening your current ones. At least once in large areas of text – this can help to ensure the content remains relevant to the keyword. Increase the localisation of your content, making it more relevant and interesting to users. Open opportunities for the content being shared by local businesses due to increased relevance to the local community. Reduce duplicate content by offering ways to tweak content differentiating it from other localised pages. Uri Bar-Joseph recently wrote a great article about quality vs. quantity in content marketing. He discussed people’s increasingly shortening attention spans, partly thanks to the immense amount of content available and epitomised by the 140-character Twitter limit. When producing content it is important to consider what drives people to share content online. Despite the importance of quality, quantity is still a factor that needs considering. With many people posting or retweeting content before even reading the article, it is important to create a punchy headline to draw attention. It is also important to consider the methods in which people now consume information in their increasingly busy lives. Infographics, shorter blog posts, lists and short videos are now popular ways of disseminating thoughts and knowledge to fit in with the way readers now consume and share. Consider the length of your content and how it’s laid out. Long blog posts and articles can still succeed as long as the content is quality and allows users to quickly browse or click to the most relevant parts within the main text. It is essential to consider how people consume and share content. Having an understanding of the target audience and how your site can provide them with compelling content can lead to increased shares online – eventually leading to future benefits in terms of both brand awareness and conversions. Despite all this, keywords are still an important part of content marketing to ensure you keep your content relevant as well as increasing the likelihood of ranking for a given term. 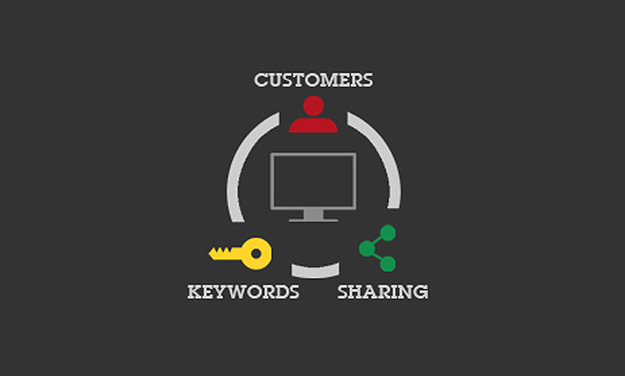 The way keywords are ingrained within SEO strategy is now more aligned to customer needs than the needs of the search engines. It is also important to consider how content works within a local SEO strategy, as well as ensuring the content is not only interesting and compelling, but is ‘shareable’ too – by being written and laid out in a way that is cohesive with the way content is now consumed.